Stunning new icing from the lovely people at renshaw.
" 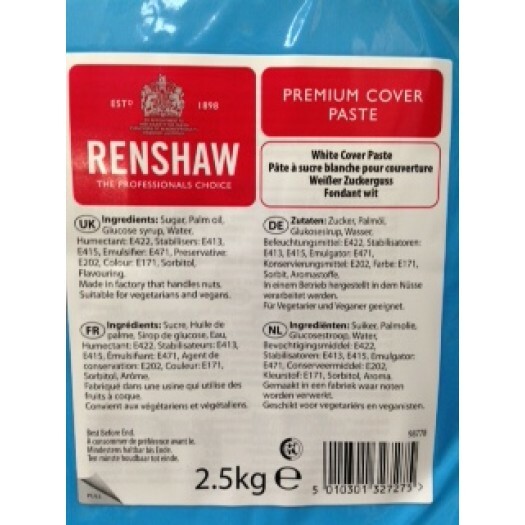 The NEW RENSHAWS PREMIUM COVER PASTE is a really great addition to the choice we now have in coating icings. Easy to kneed and pin out, I found it to have a silky smooth finish. Coating a tall cake was easy - even the fiddily 6" extra tall ones. 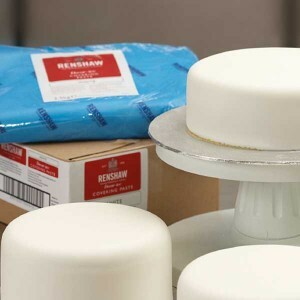 It has a longer working time to achieve those beautifully sharp corners with nothing more than buttercream filled sponge with a jam crumb coat underneath for adhesion. It tastes wonderful, without being too sweet, quite like Renshaws other best seller 'Covering Paste'. I cannot believe that this product is so well priced either - with 10% off during February - what is not to completely love??? Renshaw Covering Paste WHITE 2.5kg Choose courier for del..
Renshaw Covering Paste WHITE 2x2.5kg Choose courier for d..